Hot-spring-fed oasis on Clayton Station, north of Marree, on the iconic Birdsville Track (Ros Mayes). 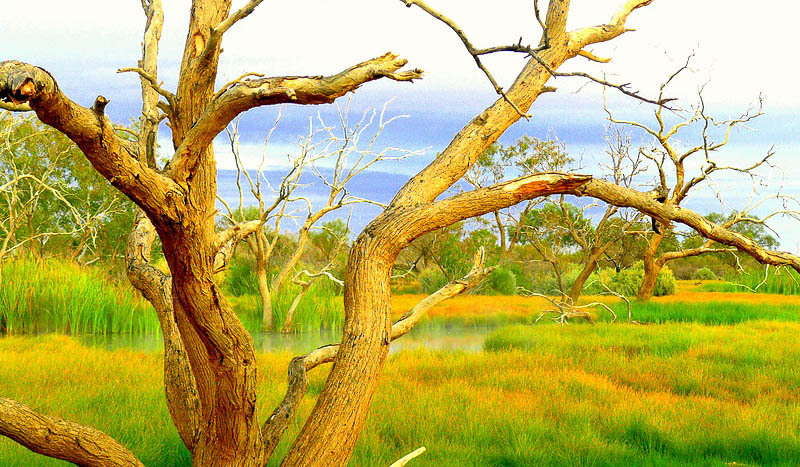 This oasis-like wetland, watered by hot springs, lies on Clayton Station, 44 kilometres north of Marree on the iconic Birdsville Track. The camping area has a corrugated iron tub, which provides a unique hot spa experience under the stars. Our winner for each issue receives a major prize. Each runner-up receives a $100 gift voucher from Australia’s first and finest photobook maker, Momento. Relive your travel adventures every day in a premium coffee table book that you design yourself using Momento’s free software. Then they print and handcraft it for you with tender loving care. See more stunning Your Shot runners up reader photos.